Home About The Family Baby Vetetoe Number 4: 20 Week Bumpdate! It’s here! It’s here! We have finally reached the halfway point in this pregnancy and that means we get to share our 20 week bumpdate! In some ways this pregnancy is flying by, but in others, I cannot believe we’ll be holding our newest little one in just 4 or 5 more months. If you didn’t know, our girls are beside themselves excited over this addition to the family. They ask daily how much longer until they can snuggle on baby! If you have followed along with our family since before we went on the road full-time, then you may remember that our third little was born with two separate congenital heart conditions. She ended up being completely healed at her two month appointment even though her pediatrician was sure the holes in her heart had grown with her and would need surgery. We took our miracle as a sign to hit the road immediately, which has been one of our decisions ever! 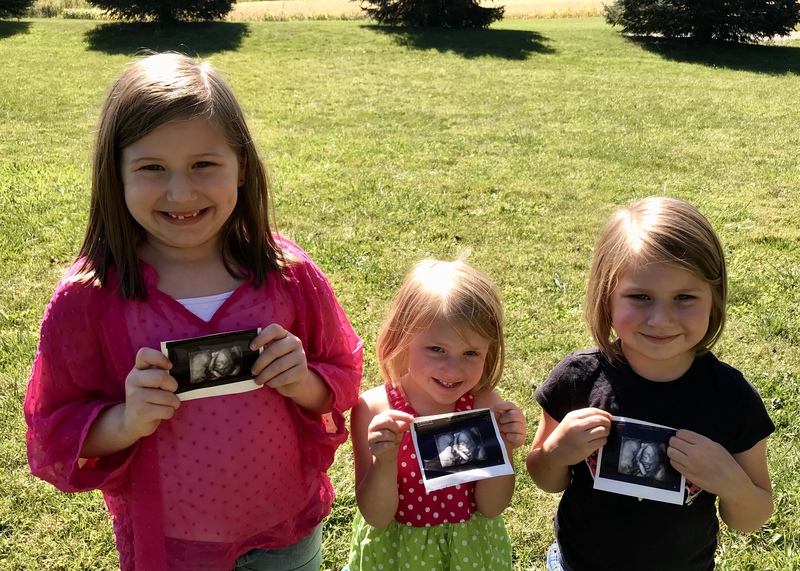 Knowing these both run in my family, that I was born with one myself, and that his sister had these, our midwife sent us to the hospital in Indianapolis for an extensive anatomy scan instead of the usual 20-week anatomy scan. They’re very similar but as suggested by the name, these are just a little more thorough. 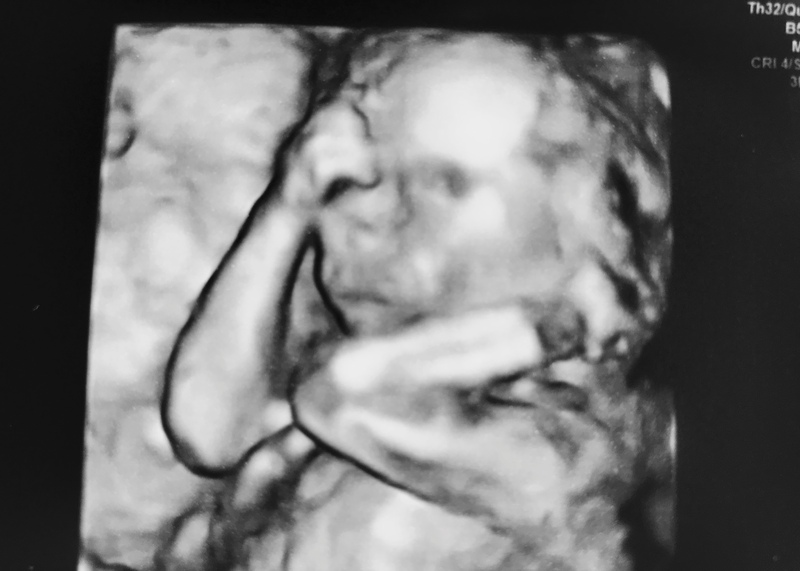 The appointment went great and nothing was detected but a fetal echocardiogram was scheduled for four weeks out, just to be safe. 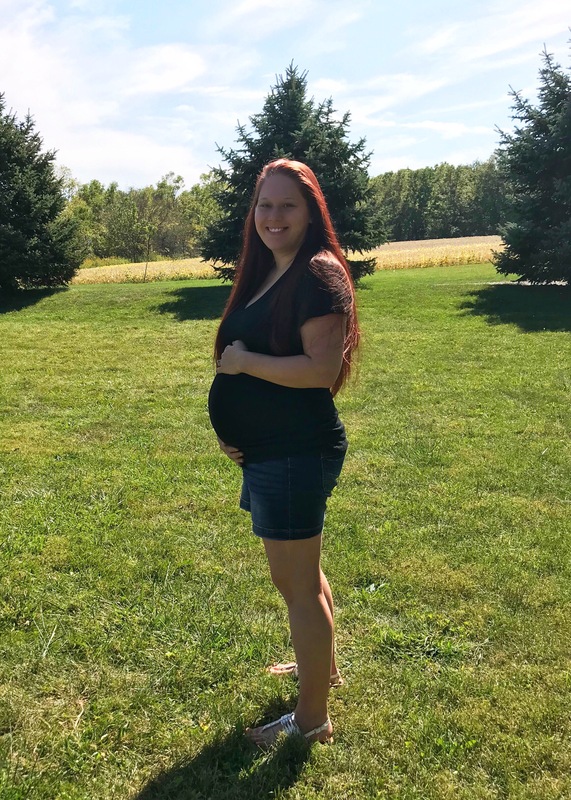 20 Week Bumpdate: All about this pregnancy! Movements: Oh goodness, yes! This little one has been extremely active. The difference is that he lays with his back outwards so I am almost always constantly feeling his head, shoulders, and back pushing out. This also means he kicks my organs and back repeatedly causing lots of fun Braxton hicks and lower back pain. I love how unique this is to feeling his sisters! 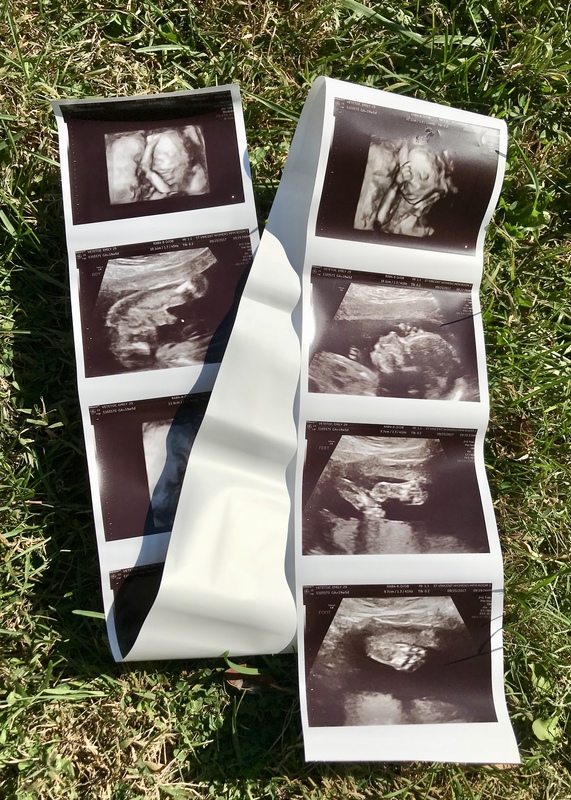 Baby’s Size: We found out today that our little mister, who should be right at 10 ounces, is well over 11 ounces already and closing in on 12 ounces. He is definitely a big boy! Workouts: Ha. Haha. Hahaha! I am finally starting to feel more normal and it has honestly gotten better week by week but until recently my nausea and exhaustion kept me pretty down. I am looking forward to incorporating some prenatal yoga back into my days soon though and would love to attempt PiYo again. Sleep: I am not sure I could shout this loud enough but “Yay for no nightmares!” With all three girls, I had horrible dreams from a few weeks in until birth. I also had intense bouts of prenatal insomnia with our last two which thankfully has barely made an appearance. Other than a few nights here or there, if the kids sleep through the night, so do I! Food Aversions: I can say that food has honestly been my biggest struggle with this pregnancy. If you know me very well at all then you know healthy eating is important to me. I love fruits, vegetables, and healthy fats! Before getting pregnant with Baby Tito, I was gluten-free, sugar-free, caffeine-free, and for the most part, dairy-free. Since I have a severe gluten intolerance (hereditary), I get to deal with the side-affects of not sticking to my lifestyle, and if I do try to eat gluten-free alternatives, I usually end up sick anyway. The breads or snacks made from alternative flours make me violently nauseas now…the joy. My usual go-to items such as eggs, protein shakes, and sautéed vegetables also make me ill which has been a huge adjustment since those were basically my only breakfast, lunch, and snack items before Tito. What I Miss: Honestly, I’m not missing anything right now. I am sleeping better than I did before the pregnancy since Miss Madelyn is sleeping now and the hormones this time are a breeze. With the girls I felt insane but pregnancy emotions are rarely an issue these days. I guess maybe wine or adult beverages when we go out for dinner but those were rare before Tito anyway.? What I’m Looking Forward To: The girls and I are planning a trip to Arkansas in October to see our friend’s newborn which is super exciting! I will also be picking up packages sent by friends and loved ones. I love baby stuff! Setting up a registry on Baby List seemed so awkward for us as we really didn’t expect anything from anyone but after a close friend set up an online baby shower, we knew others might ask about what we need. We are so beyond grateful for how excited everyone has been to celebrate with us. This may be our fourth little one but he is loved for sure! 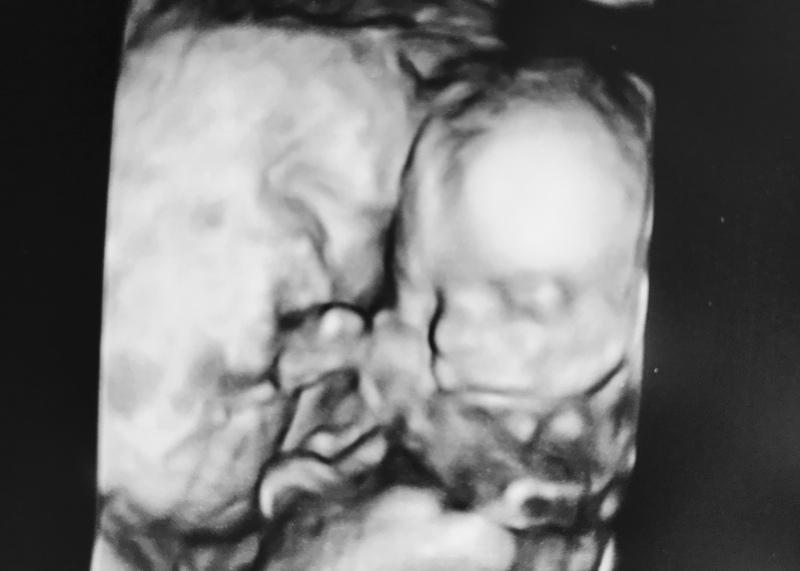 Over the next 5 months, we will have a lot going on but I honestly cannot wait to see Tito’s tiny little face! I really didn’t want to be pregnant this time. Yes, our fourth little monkey was planned, but we really only wanted the baby, not the pregnancy haha. Getting to hold that snuggly little newborn is going to be the greatest reward! Follow along over on Instagram where we will soon be sharing all about what we are doing to prep for Tito’s grand arrival!